No glass allowed. Only alcohol purchased within the festival site can be consumed. Strobe lighting and smoke effects may be used at the festival. To ensure that everybody enjoys a good view of the stages, please do not bring gazebos, large umbrellas or any other objects that may obscure the stage areas. Barbecues, garden flares and fireworks are also not permitted. Prolonged exposure to amplified sound may cause permanent hearing damage, please protect your ears and especially those of young children. Visit actiononhearingloss.org.uk to find out how to safeguard against hearing loss. We’re really happy to be able to hold the festival at Sefton Park and our aim is to leave it as beautiful as we found it. We’d be grateful if you would help us achieve this by putting your litter in the bin, leaving the park and surrounding streets just as you found them and respecting any wildlife you come across. No animals other than assistance dogs are allowed. There will be a number of cash machines on site. Due to legal artist performance rights and royalty obligations, no video or audio recording equipment or any camera, which is over 35mm or with a detachable lens, is permitted into the festival site. You will not be allowed to enter the site if you bring equipment that, at the discretion of our security, infringes these rules. At the end of your evening please follow the directions of the stewards and event staff.  If you have any questions relating to the ticket you have purchased from Ticket Quarter, please email their Customer Services Team on customerservice@ticketquarter.co.uk or call 0344 8000 410. If you have purchased your ticket via Skiddle, please email their Customer Services Team on custcare@skiddle.com or call 0333 301 0101. Please email us on info@limfestival.com where we will be happy to help answer any other questions you may have. When will I receive my ticket to LIMF from Ticket Quarter? If you have selected to receive your tickets by post, your order will be sent at least two weeks before the festival. If you have not received them please call Ticket Quarter on 0844 8000 410. If you have selected to receive e-tickets, you will find a PDF document attached to the BOTTOM of your booking confirmation. You can either download and print the PDF or show the barcode from your smart phone. To avoid queues, please ensure you have downloaded the PDF prior to arriving to the festival and have it ready to show box office staff. Please note that presenting your booking confirmation alone will not allow you entry into the festival. For an additional fee of £2.55 per person you can opt for a physical ticket, which will be posted to you ahead of the festival. If you have not received your booking confirmation, please be sure to check your junk folder. If it is not there, please call Ticket Quarter on 0844 8000 410 and an advisor will be happy to help. If you have any other questions relating to the ticket you have purchased, please email the Customer Services Team at Ticket Quarter on customerservice@ticketquarter.co.uk or call 0344 8000 410. When will I receive my ticket to LIMF from Skiddle? If you have purchased your ticket via Skiddle you will receive this in the form of an e-ticket, you will find a PDF document attached to the BOTTOM of your booking confirmation. You can either download and print the PDF or show the barcode from your smart phone. To avoid queues, please ensure you have downloaded the PDF prior to arriving to the festival and have it ready to show box office staff. Please note that presenting your booking confirmation alone will not allow you entry into the festival. If you have any other questions relating to the ticket you have purchased, please email the Customer Services Team at Skiddle on custcare@skiddle.com or call 0333 301 0101. Why do we have to pay to get into LIMF this year?  LIMF is a credible music festival and one of the highlights in Liverpool’s calendar of events. With recent government cuts, Liverpool City Council simply can’t continue to fund it in its entirety. By introducing tickets it allows us to off-set some of the costs of staging this fantastic festival. Paying between £6 and £26 for nine hours of live music each day, performed by a top quality line up means that without a doubt LIMF remains one of best value music festivals in the UK. We realise some people may be disappointed that the festival is no longer free, but we hope you understand that we have to think differently about how we stage events if they are to continue. Will LIMF be fenced this year? Yes. There will be two entry points into LIMF this year and everyone entering the festival site will need a ticket. Why are you fencing the site? Our priority has always been to make LIMF a safe and enjoyable festival for everyone. Fencing the site this year means that we can carry out bag searches when necessary and restrict alcohol brought in from outside to reduce the potential for anti-social behaviour. How old do you have to be to get a children’s ticket? All children aged 12 and under can enter the festival for FREE, but will still need a ticket and have to be accompanied by a responsible adult (18+).  Anyone aged 13 and over will need to buy a Standard Admission Ticket. If children are FREE, why do they need a ticket to get into LIMF? Issuing tickets allows us to monitor how many people are entering the festival site so we don’t exceed our license agreement. Anyone aged 16+ does not need to be accompanied by an adult when entering the festival site. Anyone aged 15 and under, will need to be accompanied by a responsible adult (18+) at all times. Will I be issued with a wristband to get into the festival? No. Any person who has bought a ticket or who is eligible to a FREE ticket will be issued with an e-ticket. You will need to bring this e-ticket with you on the day so it can be scanned and for you to gain entry into the festival. Any person who has purchased a VIP ticket will be given a wristband after their e-ticket has been scanned on the day. Can I enter and leave LIMF whenever I want throughout the day? Unfortunately not. Once you leave the festival site you will not be allowed back in. Yes, if we still have availability. **All children require a ticket to gain entry into the festival. Tickets are limited to four children per adult (18+). Anyone aged 16+ does not need to be accompanied by an adult. I’ve bought a ticket and now I can’t attend the festival. Can I swap it for another day or give it to a friend? Unfortunately not, tickets are non-transferable. Unfortunately not. Any alcoholic drinks brought to the festival will be confiscated on entry. There will be plenty of bars on site offering competitively priced alcoholic drinks. Why can’t I bring alcohol into the festival? We are a family friendly event and our priority is to make it safe and enjoyable for everyone. There will be plenty of concessions at the festival if you wish to buy an alcoholic drink on the day. How much can I expect to pay for an alcoholic drink? Alcoholic drinks will be competitively priced and listed nearer to the festival weekend. Can I bring food and soft drinks into the festival? There will be a wide selection of delicious culinary delights and drinks to choose from around the festival site. You can, however, bring your own food and any unopened soft drinks (water, fizzy pop, fruit juice) should you wish too. Bag searches will take place, which may mean a delay in gaining entry into the festival. Any opened drink containers will be confiscated on entry. Please leave your BBQ’s at home. Can I bring recreational drugs into the festival? No. Any person found to be in possession of unlawful drugs will be denied entry into the festival. Unlawful drugs will be confiscated and handed to the on-site police. Are there any disabled loos at the festival? Yes, disabled toilets will be located within the main festival area as well as the VIP area. Is there an accessible viewing platform for the CENTRAL STAGE? Yes, an accessible viewing platform will be situated in the CENTRAL STAGE area and will be available on a first come, first served basis. Will there be any disabled parking available? Blue badge parking will be available on Aigburth Drive past Croxteth Gate on a limited first come, first served basis. Are dogs allowed into the festival? Only assistance dogs are allowed into the festival site. Are there any age restrictions to buying a VIP ticket? VIP tickets are available for attendees aged 16 and over. Anyone under the age of 16 will not be permitted to enter the VIP area. When will I receive my wristband for the VIP area? When you have purchased your ticket, you will be issued with an e-ticket, which you will need to bring with you on the day. Once your e-ticket has been scanned, it will be exchanged for a wristband. Wristbands need to be worn at all times to give you access to the VIP area. What happens if I lose my wristband to the VIP area? Lost wristbands will not be replaced and are the sole responsibility of the buyer. The VIP area is located to the right of the CENTRAL STAGE area only. Does the VIP area give me access to the front of all stages across the festival site? No just the area to the right of the CENTRAL STAGE only. What time does the VIP area open? Can I enter and leave the VIP area whenever I want throughout the day? Absolutely, just make sure you keep your wristband on and you can gain access to the VIP area during the opening times. Are there unlimited tickets to the VIP area? We have limited the number of tickets for sale to make sure your experience is the best it can be! Will there be queues for the bars and loos in the VIP area? There may be times when the bars and loos are busy meaning a short wait whilst queuing. From big-name brands to quirky independents, posh hostels to luxury hotels, city-centre boltholes to country mansions, Liverpool city region has it all when it comes to places to stay. Whether you choose a hotel, B&B, serviced apartment or hostel, you’ll be sure of a warm welcome. Campervans, motor-homes, caravans, camping tents, trailer tents or anything else that can be attached and transported by a car or other motor vehicles, are not permitted to be situated or located anywhere within the festival site or its grounds as all overnight stays are prohibited. No parking is available in the area surrounding the park, with the exception of limited disabled parking bays, which can be accessed via Croxteth Gates, allocated on a first come first served basis.  We strongly urge you to use the local public transport links.  St Michael’s Train station is the nearest to the park, but more detailed travel information can be found at merseytravel.gov.uk. If you fancy coming to the festival by bike then why not download or request a copy of Liverpool’s cycle map, which shows the nearest cycle parking to the park. See liverpool.gov.uk for more details. If travelling by train or ferry, bikes go free and are welcome on both. Please remember though if you are travelling by bike to wear bright clothing and use bike lights if you are heading home after dark. Please dress for the weather, bring appropriate footwear and clothing for an outdoor event, including warm clothing for the evening. Don’t forget to bring plenty of sunscreen if it’s sunny! Seating is only provided within the VIP area on a first come first served basis and you are welcome to bring along folding picnic chairs or blankets. No glass is permitted within the festival site and will be confiscated if found, so please ensure any food or soft drinks brought to the park are in a plastic container. What happens if I can’t find my child? The festival is a safe, family-friendly site with a dedicated welfare area at Croxteth Gate. However, we must be clear children remain the responsibility of their parents and guardians and not the festival – please keep an eye on your little ones. The lost children meeting point is situated at the entrance point next to the WELCOME HUB at Croxteth Gate. We will also have a scheme this year, where young children can have a wristband placed on their wrist with the mobile number of the adult accompanying them. This will enable us to quickly contact you should you become separated from your child. Any lost property handed in will be taken to the WELCOME HUB at the festival. After the festival has finished you can contact us to see if your property was found by emailing us here with the subject header ‘Lost Property’. Lost property will be kept for a maximum of 8 weeks after the festival finishes.  Any non-collected items will be donated to the Lord Mayor’s Charity or nominated charity of Liverpool City Council. Enquiries after the event regarding Lost property should be directed to info@limfestival.com. Are there any baby-changing facilities on site? Yes absolutely! There will be baby-changing facilities within the festival site. Look for a security person or medic who will be able to help or direct you to where you need to be. The main first aid post will be situated at the entrance point close to the WELCOME HUB at Croxteth Gate. There will also be first aiders situated at each of the stages and around the festival site.